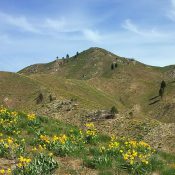 The Danskin Mountains are a complex subrange of the Boise Mountain. These peaks are discussed on pages 152 and 153. 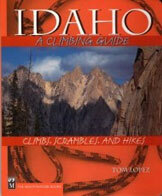 The subrange is bordered by the Boise River/Lucky Peak Reservoir on its western side. The South Fork Boise River divides the range from the Boise Mountains along its northern flank and the Snake River Plain and US-20/Bennett Mountain Hills form its southern boundary. The eastern range’s boundary is not distinctively shown on any map. However, the most logical boundary is Little Camas Creek which flows out of the. 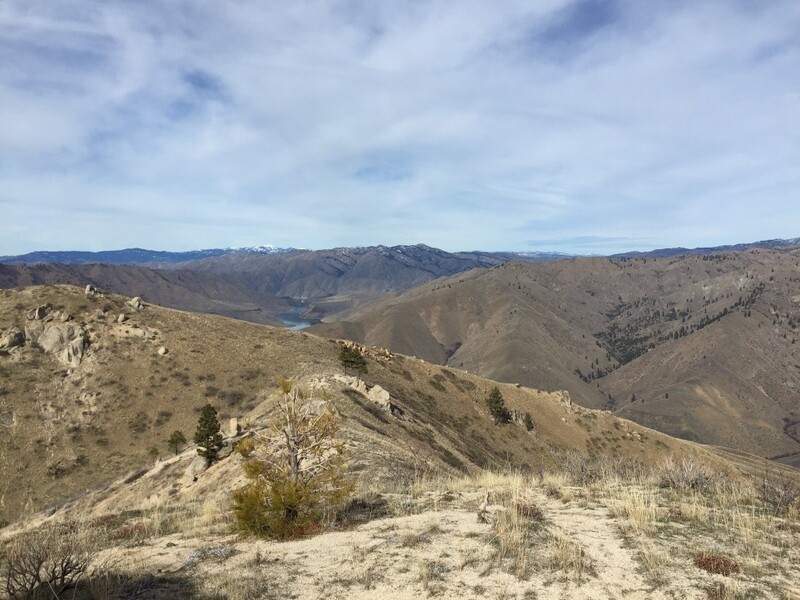 Bennett Mountain Hills, into the Little Camas Reservoir and then into the South Fork Boise River at the point where the South Fork runs north to divide the Boise Mountains and the Soldier Mountains. The range is characterized by long twisting drainages accompanied by equally complicated ridge systems. It ridges are mostly treeless thanks in part to seceral devastating wildfires that have occurred since the late 1980s. 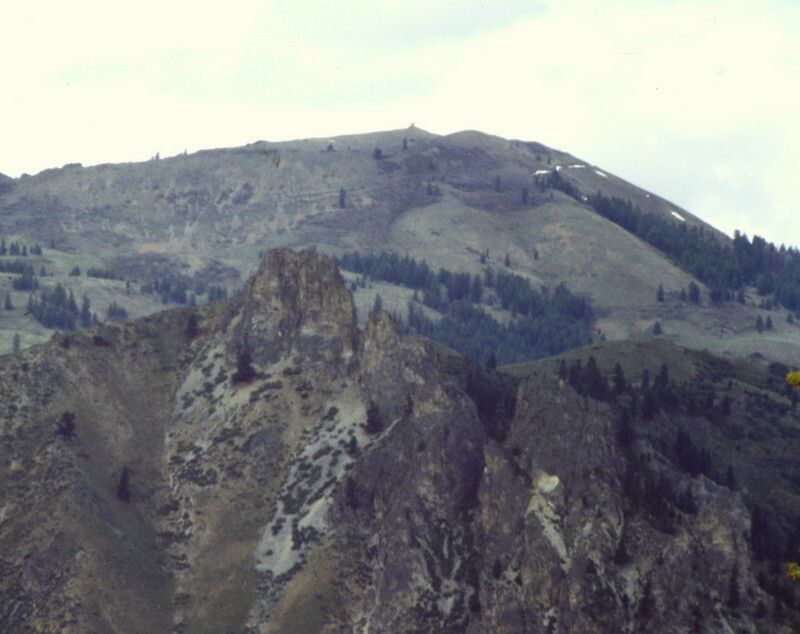 Danskin Peak is the highest point in this subrange. 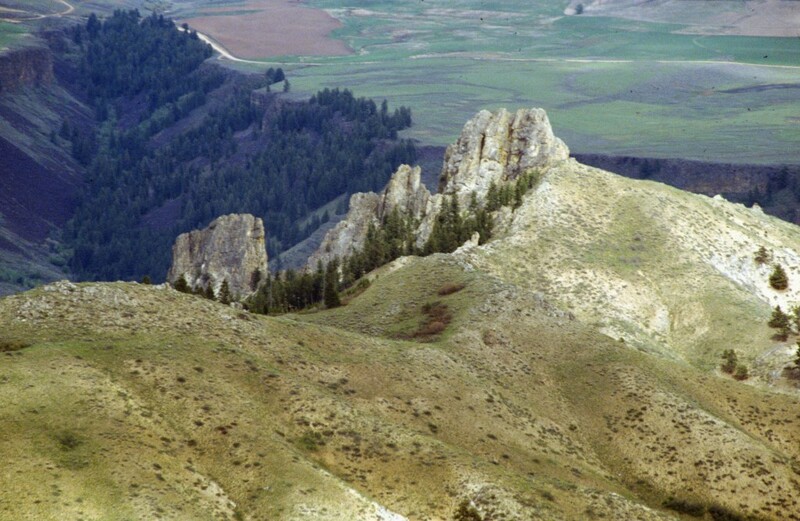 This web site covers many Danskin peaks that are not found in the book including: Devils Hole Peak, Little Fiddler, Fiddler Benchmark and Hutton Peak as well as unnmaed peaks, 5444, 5100, 5180 and 5380. The Blacks Creek Road provides good, early access to the ever popular Three Point Mountain and Kepros Peak. 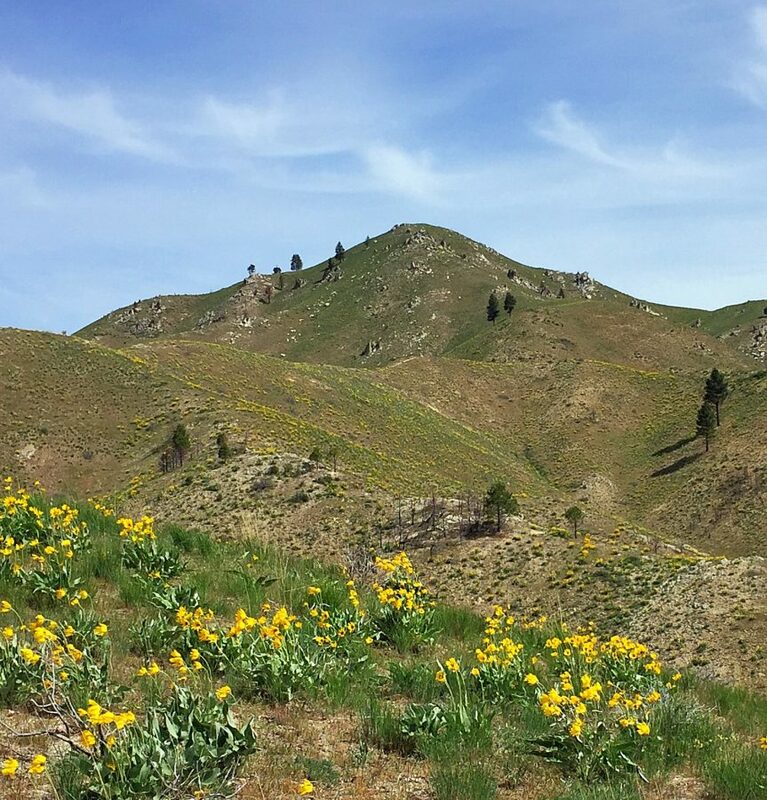 The primary access to the center section of the range is accessed from Mountain Home, Idaho via a long and, in the end, rough and tumble system of roads that eventually lead to the top of Danskin Peak. 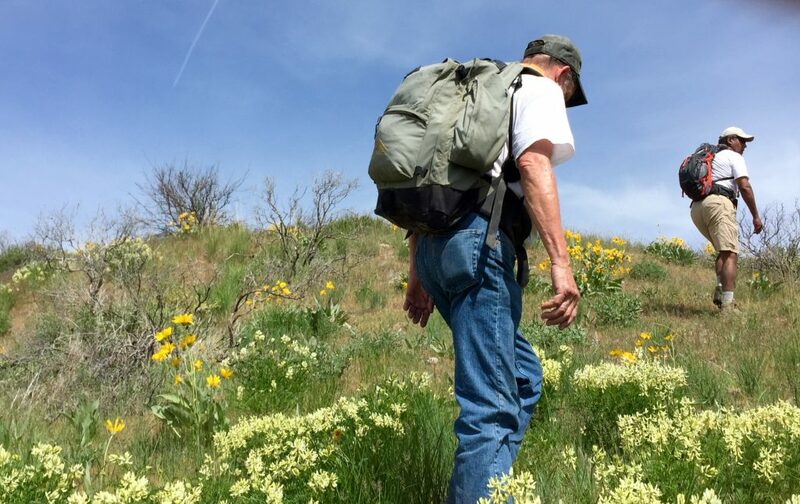 Once these access roads dry out, the center of subrange offers exceptional Spring hiking. The central portion of the range is accessed via the Danskin Mountains OHV Trail System. 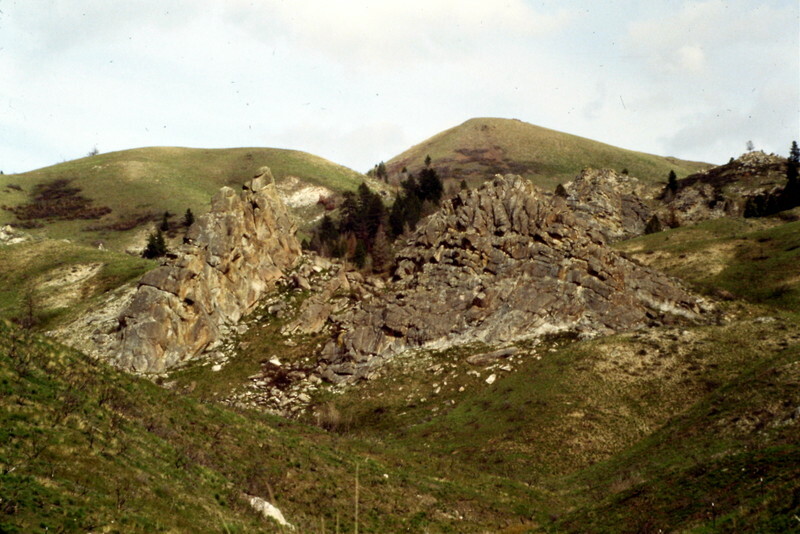 This rock formation is located on the north side of Danskin Mountain. I have not hiked down to them and do not know if any one has climbed on these rocks. 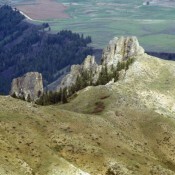 Danskin Peak rising up behind Cathedral Rocks. 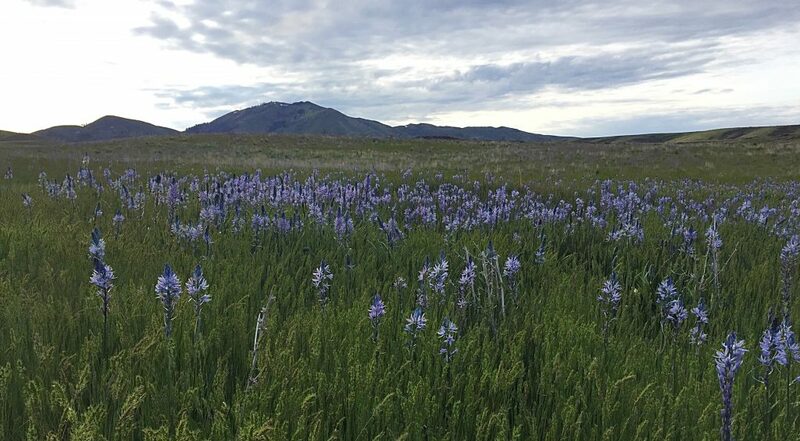 The east slopes are not exceedingly steep and are a riot of wildflowes in the Spring. The west ridge of Hutton Peak is a bit of a roller coaster walk but the views of the South Fork Canyon and the surrounding mountains are exceptional.